My latest pick is a dark, gothic-inspired fantasy that had me hooked from the first chapter. “My name is Nadezhda Lapteva, she thought. I am from the monastery in the Baikkle Mountains. I am a cleric of the divine. I am here to kill the king and end this war. Meet the last living Kalyazi cleric with the ability to communicate with the gods, Nadya. She is strong, smart, and her unique power is key to defeating her nation’s enemy (the Tranavians) and their evil blood magic. Meet Tranavian blood mage and Nadya’s biggest enemy, Malachiasz. He is monstrous, beautiful, and a little bit broken. Meet Tranavian prince and blood mage, Serefin. He would love nothing more than to defeat Nadya and her nation to impress his father, all while getting very, very drunk. Nadya flees and joins a group of rebels led by Malachiasz when her monastery is attacked by Serefin’s Tranavian troops. Together, she and Malachiasz plan to assassinate the Tranavian king and end the war. But when the rebel crew uncovers something even more sinister than any of them were expecting, Nadya’s trust is tested forcing her to question everything she thought she knew. I’ve read WICKED SAINTS twice. And if you’re anything like me, you’ll love this very dark YA fantasy. The Eastern European-inspired setting is uniquely and beautifully brutal and serves as the perfect backdrop for the atrocities committed. The characters are all terrible (but lovable) monsters and the magic system requires a level of bloodshed that would leave anyone anemic. 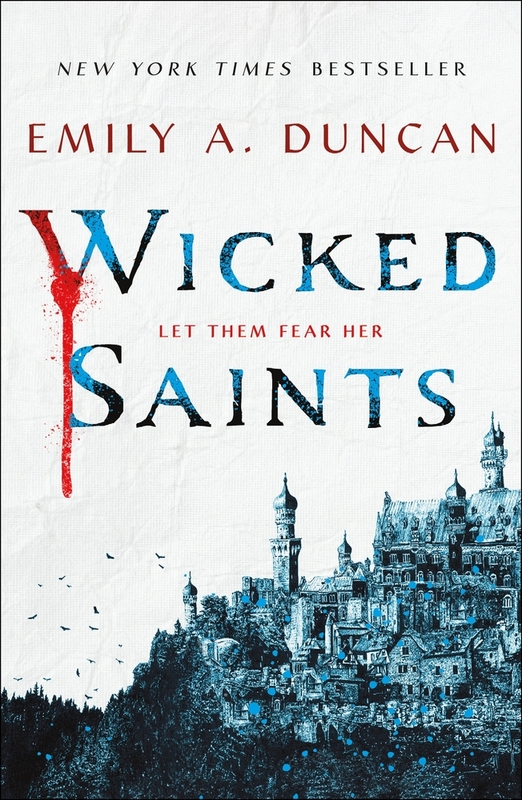 Emily Duncan’s gothic debut is ideal for Leigh Bardugo fans, but I’d also recommended to those interested in an introduction to the dark fantasy genre.